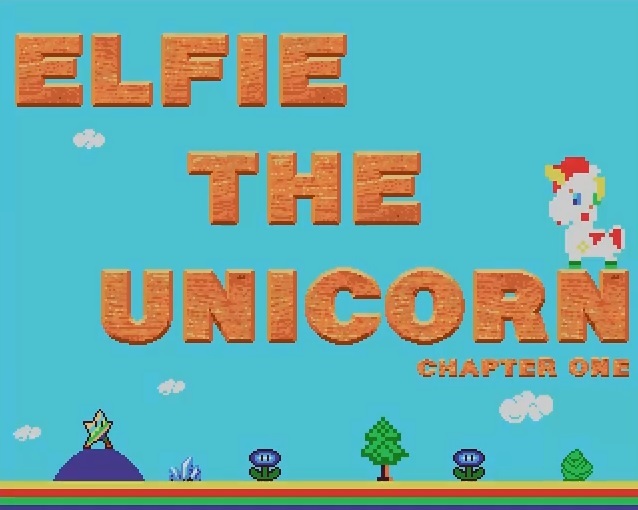 Well this is a nice little surprise as generally most homebrew games are developed for the retro gamer in mind, but thanks to a heads up by Per Ola Eriksson, we've learnt of a new game that's been released and made especially for kids ' Elfie the Unicorn Chapter 1 '. A new game developed by Twin Games Software, puts you in control of your very own Unicorn on a quest to stop the evil Jack The Unicorn Hunter who is a threat to all of the Unicorns in the land. Elfie the Unicorn Chapter 1 is an Amiga Jump and Run for all classic Amigas, and is one of the cutest games we've seen so far as a new homebrew game. Sure it might not be to everyone's taste but if you have young ones, it might be a good excuse to spend quality time with both them, and your cherished retro computer.